Home BUSINESS NEWS OPPORTUNITIES Thika Town Constituency Advertises vacancies for membership of CDF Committee. Thika Town Constituency Advertises vacancies for membership of CDF Committee. A truck belonging to the NG-CDF Board in Nairobi. INSET: Thika Town MP Eng. Patrick Wainaina Wa Jungle is the patron to the Thika Town NG-CDF Committee. Thika Town Constituency has officially advertised vacancies for membership to their National Government Constituency Development Fund Committee (NG-CDFC). In a letter dated 12th September 2017 and copied to all the governmental heads, the Thika Town NG-CDF invited members of public to submit their applications pursuant to the provisions and regulations of Sections 43 (1), (2), (3) and 57 (1) of the National Government Constituency Development Fund Act 2015. 1. Be a Kenyan Citizen. 2. A resident voter in the constituency. 3. Be able to read and write and communicate in both English and Kiswahili. 4. Meet the requirements of Chapter six of the Constitution of Kenya. 5. Is available on short notice to participate in activities of the NG-CDFC. All interested parties must submit their applications in writing, addressed to the Fund Manager, Thika Town NG-CDF Office, attaching their testimonials and clearly indicating the positions applied for, their home ward, copy of their ID card and voters card, daytime telephone number, postal address to reach the office on or before Tuesday 26th September 2017 at 5pm. 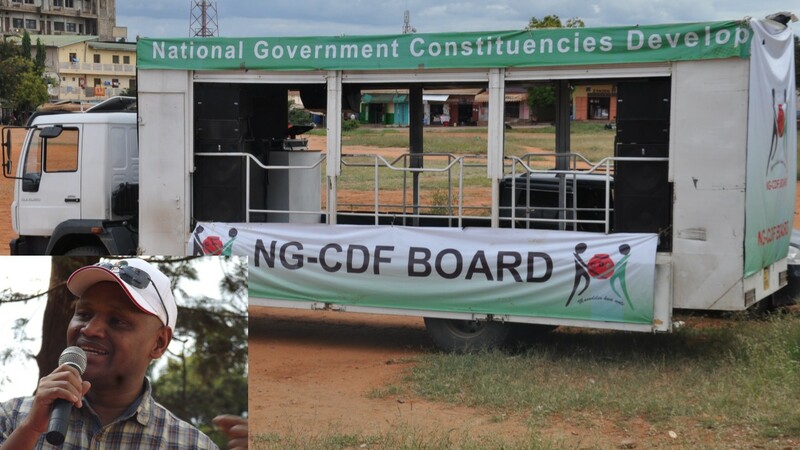 The NG-CDF is a national government fund consisting of monies of an amount of not less than 2.5% of all the national government's share of revenue. All disbursements from the Fund are supposed to be for specific projects as submitted by the constituencies in accordance with the procedures outlined in the NG-CDF Act 2015. Members of the NG-CDFC comprise of two men, one of whom must be a youth at the date of appointment, two women, one of whom shall be a youth at the date of appointment, one persons with disability nominated by a registered group representing persons with disabilities in the constituency and two persons nominated by the constituency office. Others are a national government official responsible for co-ordination of national government functions, an officer of the National NG-CDF Board seconded to the Constituency Committee by the National NG-CDF Board who shall be an ex-officio member without a vote and one member co-opted by the Board in accordance with Regulations made by the Board. The term of office of the members of the Constituency Committee shall be two years and shall be renewable but shall expire upon the appointment of a new Constituency Committee. The chairperson of Constituency Committee shall, within the first year of the commencement of a new Parliament and at least once every two years thereafter, convene public meetings in every ward in the constituency to deliberate on development matters in the ward and in the constituency. The first meeting of the Constituency Committee shall be convened within sixty days of the commencement of a new term of Parliament or the date of the holding of a by-election, by the national government official at the constituency or in his or her absence, by an officer of the Board seconded to the committee on such a day as may be designated by the Cabinet Secretary. They are entitled to shall at least six times in a year but they cannot hold more than twenty-four meetings in the same financial year, including sub-committee meetings. According to the Act, all NG-CDF projects must be in respect of works and services falling within the functions of the national government under the Constitution and be community based in order to ensure that the benefits are available to a widespread cross-section of the inhabitants of a particular area. The funding of social security programmes education bursary schemes, mock examinations and continuous assessment tests is considered as development projects but cannot be allocated more than 35% of the total funds allocated for the constituency in any financial year. The Constituency Committee may engage such staff as may be necessary for execution of its functions including persons with knowledge in information and communications technology, construction and basic accounting. This staff are expected to assist the committee in project monitoring, evaluation, co-ordination and proper keeping of records. They are remunerated from the funds allocated for administration and recurrent expenses of the Constituency Committee.